Volkswagen Polo Petrol Highline 1.6 L is the latest model launched by Volkswagen group. It’s a sleek looking, compact yet spacious car. The car is sure to make a sizeable presence in the Indian car market. It is a very stylish and classy car with elegant exteriors and interiors. Appearance: Volkswagen Polo Petrol Highline 1.6 L is available in 6 beautiful colors – Candy White, Reflex Silver, Deep Black, Flash Red, Emotion Blue and Pepper Grey. The front side is adorned with broad, adjustable headlights. Alloy wheels provide a sturdy look to the car. Comfort: The Volkswagen Polo Petrol Highline 1.6 L has various comfort features. The car is fitted with Adjustable seats, Height adjustable front seat belts, Cup holders at the front seat, Power steering, power window (both front and rear), Remote trunk opener, Remote fuel Lid opener, Low fuel warning light, Trunk Light, Vanity mirror and rear window wiper. The car also has rear reading lamp and Rear seat headrest. Other comfort features include powerful AC, Heater, Adjustable steering column, Tachometer, Electronic-Multi-Tripmeter, Fabric Upholstery, Glove compartment, Digital clock, Cigarette Lighter and Digital Odometer. The car has a hi-tech audio system with front and rear speakers. 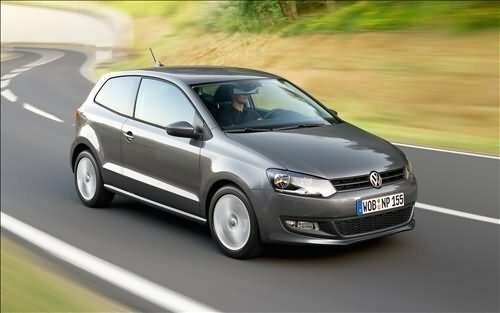 Safety: Volkswagen Polo Petrol Highline 1.6L has a variety of safety features. The car has Anti-Lock Braking System, Central Locking, Power Door Locks, Child Safety Locks, Anti Theft Alarm, Driver Airbag, Passenger Airbag, Day and night Rear View mirror, Passenger Side Rear View Mirror, Halogen Headlamps, Rear Seat Belts, Seat Belt Warning, Door Ajar Warning, Fog Lights (both front and rear side), Rear Window Defogger and Engine Immobilizer. Engine: Volkswagen Polo Petrol Highline has 1.6 L, 4 cylinder petrol engine which produces a maximum power of 105 PS at 5250 rpm and a maximum torque of 15.5 kgm at 3750 rpm. The car has manual transmission with 5 speed Gear box. Price: The approximate price of the Volkswagen Polo Petrol Highline 1.6 L is Rs.7,00,000 (taking Mumbai as base price location). However, the price specified is tentative which exclude tax, registration, insurance and cost of accessories. , I would kindly like to invite your attention to Contract No: nil dated September17,2010 for booking of Polo 1.6 highline Petrol with KSM Motors Pvt. Ltd. Mumbai East, against which I have already made payment of Rs.50000/- by cheque which has been acknowledged by them vide recept no.455 dated September 17, 2010. As per proforma invoice and my booking,I was promised that vehicle would be delivered to me within 3/4 months.Sir, I am going to purchase the said vehicle with help of loan from my employer i.e. Reserve Bank of India, who has already issued me a cheque of balance amount and pressing me hard to produce purchase documents of the vehicle. It is learnt that some of your customers have been delivered vehicles much before waiting period. Since a period of 3 1/2 months has already been lapsed, you are requested to look in to the matter to keep the name of your company on repute and to desist your valuable and loving customers from turning in to unrest and agitation.